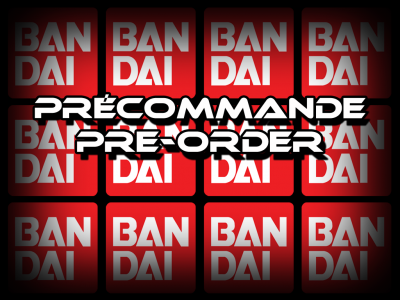 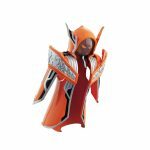 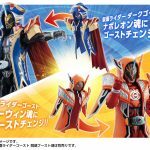 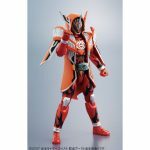 Après un premier ensemble de la gamme GC (Ghost Change) de la franchise Kamen Rider Ghost via Premium Bandai sorti en Juillet dernier, voici un deuxième principalement centré sur le film Kamen Rider Ghost : 100 no Eyecon to Ghost Unmei no Shunkan sorti au cinéma au Japon le 6 Août. 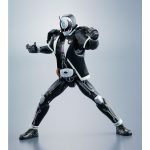 Ce nouvel ensemble qui sera disponible en Janvier 2017 sera composé de la figurine de Kamen Rider Dark Ghost accompagnée de deux Ghost et deux armes. 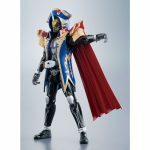 Les Ghost de cet accompagnement sont le Napoleon Ghost avec qui Kamen Rider Dark Ghost obtient sa forme Napoleon Damashii puis le Darwin Ghost, destiné à faire la forme Darwin Damashii sur la figurine GC07 sorti en Décembre dernier et représentant la héros Kamen Rider Ghost en Toucon Boost Damashii. 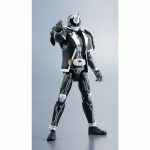 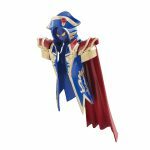 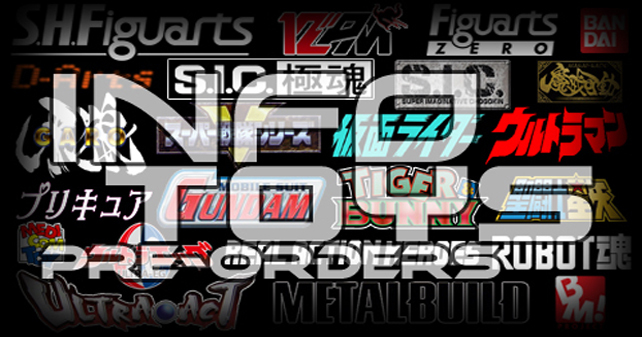 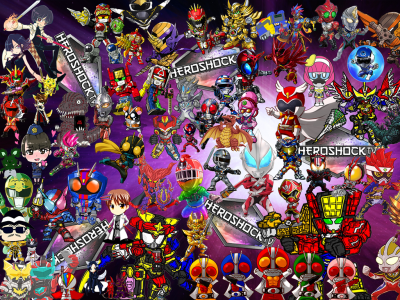 Les armes sont le Deep Slasher (avec un exemplaire de chacun de ses deux modes Sword et Blaster) pour la figurine GC12 Kamen Rider Deep Specter sortie en Avril dernier et le Gan Gun Catcher pour la figurine GC09 Kamen Rider Necrom sortie en Février dernier. 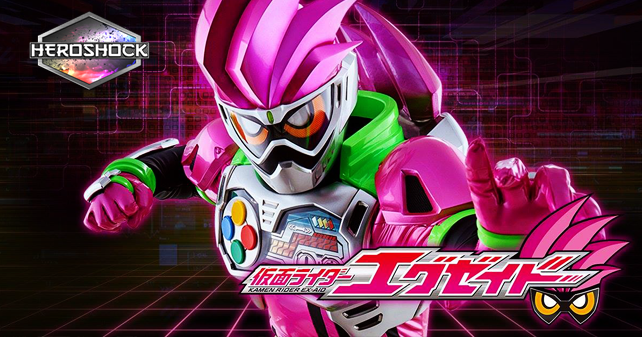 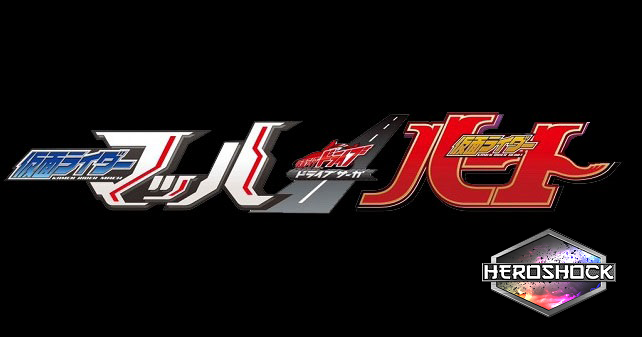 After an first set in the range GC (Ghost Change) from the Kamen Rider Ghost franchise via Premium Bandai released in last July, here’s a second mainly focused on the movie Kamen Rider Ghost : 100 No Eyecon to Ghost Unmei no Shunkan released in Japanese cinemas on August 6. 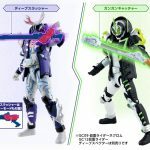 This new set which will be available in January 2017 will include the figure of Kamen Rider Dark Ghost accompanied by two Ghost and two weapons. 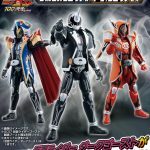 The two Ghost of this accompanying are the Napoleon Ghost with which Kamen Rider Dark Ghost gets his form Napoleon Damashii then Darwin Ghost, intended to be the form Darwin Damashii on the GC07 figure released in last December and representing the hero Kamen Rider Ghost in Toucon Boost Damashii. 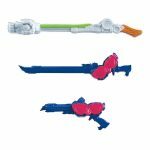 Weapons are the Deep Slasher (with an copy for both Sword and Blaster modes) for the figure GC12 Kamen Rider Deep Specter released in last April and the Gan Gun Catcher for the figure GC09 Kamen Rider Necrom released in last February.